THE GRADUAL RELEASE MODEL OF TEACHING STUDENTS TO THINK. How do we help students navigate a complex text? With the support of the teacher, the iLit instructional model turns passive learning into active thinking. 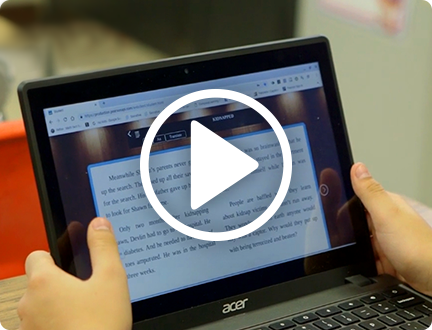 iLit requires students to process reading comprehension in a meaningful way. A “gradual release of responsibility” takes students through a series of well-planned steps designed to move them toward independence. iLit helps model the concept or skill, then it asks students to apply their learning through talking, writing, listening, and presenting. The cognitive load shifts from teacher to student, getting students to slow down, ask questions, and think through a complex piece. It’s what college and career prep is all about. Begin with self-selected silent reading to build stamina. 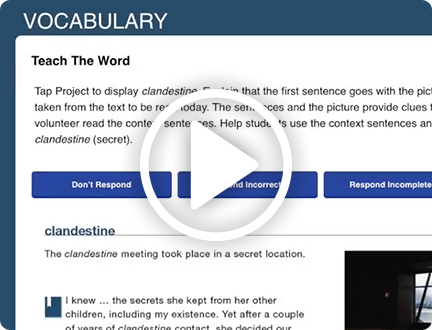 Teach specific words they’ll encounter in the text and academic vocabulary across the curriculum. Model thinking to build comprehension strategies. Seeing how a good reader thinks about the text helps them learn how. 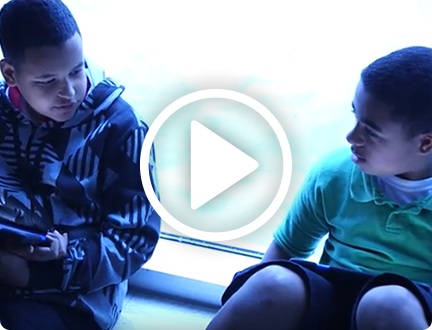 Engage students in productive talks about the text. Use the text to teach language skills and strategies. Apply learning in independent practice or small groups. Reiterate the main teaching point and assign homework.